Water and carbon are essential in supporting life on Earth. They both move between land, oceans and the atmosphere. The widespread availability of water on Earth is one factor that contributes towards ours being the only habitable planet in the solar systems. Liquid water exists in huge quantities on Earth due to the amount of energy intercepted by the planet as the result of its distance from the Sun. Water exists in a range of states including, liquid, vapour and solid water (ice). Transfers occur between these stores. Through liquid water, organic molecules can mix, allowing them to form complex structures. Living organisms on Earth rely on liquid water for survival. Not just for their own consumption but because of the interactions between water and the atmosphere. Water helps control global temperatures. In the atmosphere clouds (water vapour) reflect around 20% of incoming short-wave radiation from the Sun back out to space. Water vapour is a greenhouse gas. It absorbs reflected long-wave radiation. Without this, the average global temperature would be almost 15 ° C colder than it is today. Also, oceans absorb, store, transport and release heat energy. Without warm ocean currents originating from the Gulf of Mexico, the UK would be significantly colder than it is. The most abundant molecule in living organisms is water. It accounts for between 65-95% of all molecules in flora (plants) and fauna (animals and people). Water is required for photosynthesis to occur. It circulates energy and waste products between living cells. Water is required to support plant tissues, without it plants will wilt. Plants also transpire (release water) which is a process required to move water around the biosphere. Photosynthesis, the fundamental process that virtually all life relies on, requires water. Water carries substances in and out of living cells, circulating energy and waste products for example. It helps many biochemical reactions to take place such as hydrolysis (addition of water) and condensation (removal of water) which break down or join up molecules in cells. Flora require water to help support their tissues and without sufficient water, plants wilt. Plants transpire water. Transpiration is the process of water movement through a plant and its evaporation from aerial parts, such as leaves, stems and flowers. This is a vital process moving water around the biosphere. Fauna depends on water to regulate internal temperatures e.g. sweating. Water is also vital in a large number of economic activities such as power generation, manufacturing and agriculture. It is also essential for sewage disposal and is widely used for leisure activities. 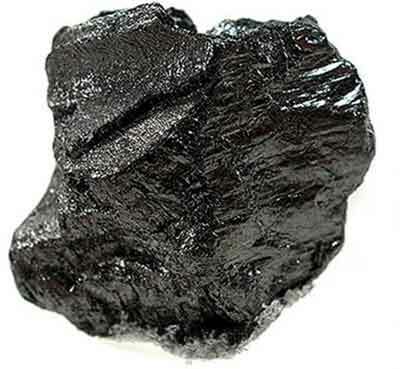 Carbon is one of the most common chemical elements on Earth. Due to its ability to bond with other elements, it is incredibly important. It is estimated to form the basis of 95% of all compounds. Carbon is found all over the planet. It is found in rock (carbonate e.g. limestone), as CO 2 gas in the atmosphere and dissolved CO2 is found in oceans. Carbon is present in nearly every molecule in living organisms on the planet. It is found in 80% of the world’s primary energy e.g. coal and oil. It is a raw material for manufacturing (oil is used in the production of many things such as plastic and paint). Wood is used in construction and paper-making while agricultural crops not only provide food but also materials such as cotton and oils for products such as soap. Find out about water and carbon cycles.